I know, I know. It's winter in most places around the world. But do you expect me not to eat n'ice cream for a few months?? Hell no. If you don't live in the Middle East, you'd assume that it's not a big deal to eat something cold during "winter" in Saudi Arabia. But honestly, it's COLD!! Okay, sure it's not anywhere close to how cold the Midwest is or say Russia. It's still cold, though. The reason behind that is because our houses are usually not as warm as the ones in countries that experience harsh winters and the second reason is simply because we are not used to it. Anyways, so what on earth is kleija? That's the whole reason why you clicked on this page. 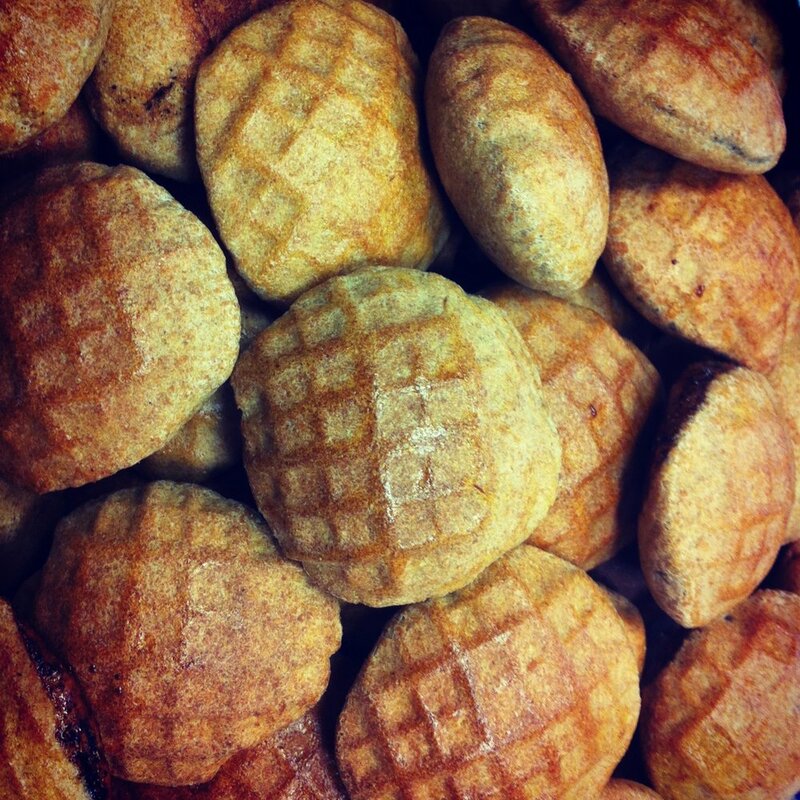 Kleija is a kind of biscuit we have here in Saudi Arabia. It's a hard shell made out of wheat flour with a gooey filling inside of it. It's filled with a thin layer of date molasses, sugar, cinnamon, and dried lime powder! SOO good. However, I don't eat them anymore because they're usually made with some kind of animal fat, but that's alright, I ate my fair share when my mother would bring me an entire tin of kleija during the winter months in the States. My aunt's homemade mini kleija! They don't stay around for too long. Especially when they're fresh out of the oven. Whole dried limes. You can buy them like this or ground from Amazon or any international grocery store. Top with your favorite crunchies.